Quick test: take a ruler. Measure the height and width of your face. Now divide the height by the width. A narrow face has a height that is more than 1.5 times its width. If your face is narrow, most glasses are much too wide. Petite glasses are made for small or narrow faces, so they have less total width, and a smaller lens width. As a rule, glasses look best when the total width of the frame is about the same as the total width of the face. For narrow faces, frame width should be equal to or slightly greater than the width of the face. That means it’s ok for your frames to come out slightly past your temples (say, up to 3 mm on each side). This looks good because it appears to widen the face, which balances out the length of the face. For the same reason, avoid frames that are less than your face width. They will make your face look pinched. (A tricky balance, I know). You can estimate the total width that you need. Simply take a ruler and measure the width of your face at the widest area (usually temples or forehead). Stand back from the mirror at least a foot. (Standing too close to the mirror will give an inaccurate measurement). You can also measure the width of your current pair of glasses, if they fit you well. Or, if they are too wide, then just measure how far they extend past your face, and subtract that amount from the total width to find the width you need. Some online retailers include total width in their measurements, which makes this number very useful. What size should I try? Your size will depend on your specific facial measurements and features, but here’s the ballpark for petite glasses. How to read glasses sizes What size are petite glasses? If you have a long face, you need lenses that have enough height to look proportionate. Frames that are too short on a long face will exaggerate face length, making it appear even more elongated. Choosing frames with more height means choosing square, round or taller cat-eye shapes. Rectangular, oval, and classic cat-eye frames will often be too short. I’m not saying they will look terrible. 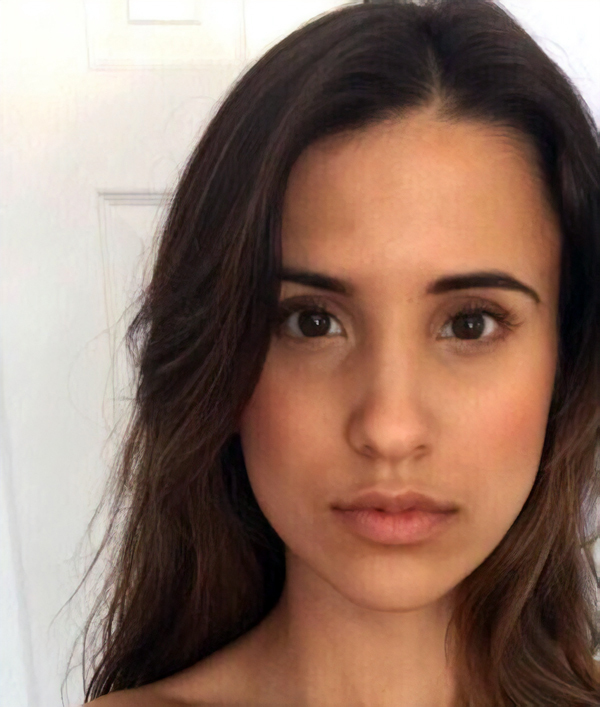 I am saying that generally (provided that you have the correct width), taller shapes will be more flattering on a long face. You may have worn rectangular or oval frames in the past. Here are some thoughts on that. Let’s say you had rectangular frames. Were they too wide for your face? If so, you might have had the correct height, and simply needed less width. And, of course, if you take a rectangle and decrease its width, it becomes a square. Likewise, if you decrease the width of oval frames, they become round frames. Hence my recommendation of square and round shapes. Fashions have an impact. Five to ten years ago, everyone was wearing tiny rectangular and oval frames because that was very much in style. Now, taller lenses are the thing. This is good news for you since they will look great on you! Lastly, it’s worth noting that shape categorizations are fuzzy. I’ve seen many websites list the same pair of glasses as both “square” and “rectangular,” because, really, it was in between. It could have been a tall rectangle, or a short square. Any glasses with an upper half that is darker, thicker, or bolder than the lower half are not ideal for long faces. These frames make the face look longer. The heavy upper rim catches the eye at the top and makes everything below it look elongated. Great for wide faces! Not the best option for narrow faces. If you can find them, frames that are darker on the sides and lighter in the middle will widen the face. They are also a good option if you have close-set eyes, as they appear to widen the eyes. 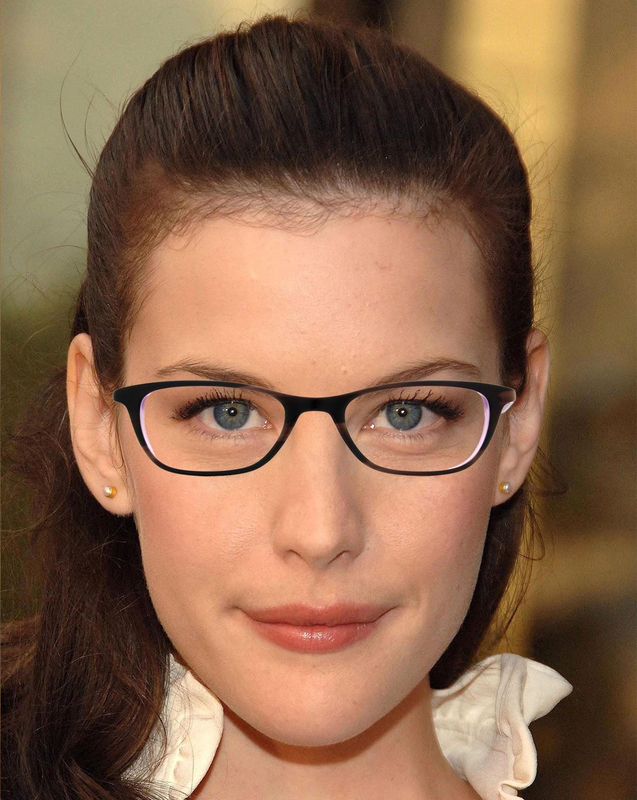 If you like thick frames, but they overwhelm your face, try thin frames in a bold color to get a similarly daring look. You can pull off a lot more thickness in clear (crystal) or semi-transparent colored plastic than you can with opaque colors. If black frames wash you out, try a light tortoise, dark blue, or burgundy. Grey or silver are great options if you have grey hair.